The Kamaishi Daikannon is a huge Buddhist kannon statue that overlooks the city from her perch on the top of the Kamazaki peninsula. Striking white against the blue ocean and green mountain-scape, she has come to be a famous symbol of the city. Visitors can climb the interior stairs to the 12th floor viewing platform and enjoy stunning panoramic views of the city and coastline. The Daikannon was built in 1970 and stands at over 48.5m high. Within the inner structure is Sekiozenji Temple, as well as a collection of statues of the 33 Buddhist kannons and 7 gods of good fortune. The Daikannon has also been registered as an official “Lover’s Sanctuary” – romantic destinations believed to bring good fortune to couples or hopeful singles who visit them. Officially designated as a UNESCO World Heritage Site in 2015, the Hashino Iron Mining and Smelting Site is recognized as the birthplace of Japan’s modern iron and steel industry. 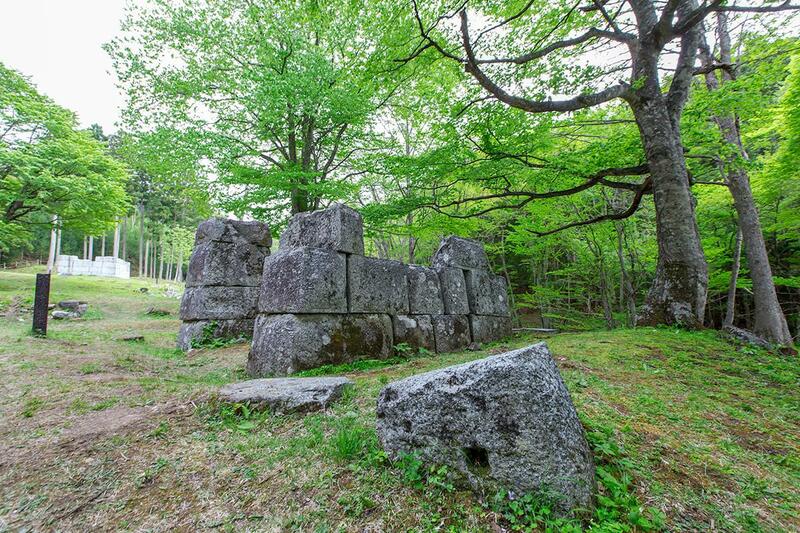 The site was chosen by Morioka Clan retainer Takato Oshima as the location for Japan’s first western-style blast furnace, using designs he had found in foreign imported documents. Requiring resource-rich soil and running rivers for the transportation of goods, he recognised the perfect conditions for steel manufacturing in the mountains above Kamaishi. He built three large-scale blast furnaces in total, and successfully tapped steel for the first time on December 1, 1857 – a date still marked as “Iron Day” across the country. The Hashino Iron Mining and Smelting Site played a crucial role in the rapid industrialization of the Meiji Era up until operations ceased in 1894. The ruins of the three main blast furnaces remain today, and combined with the Information Centre on site, make for a fascinating and informative tourist attraction. 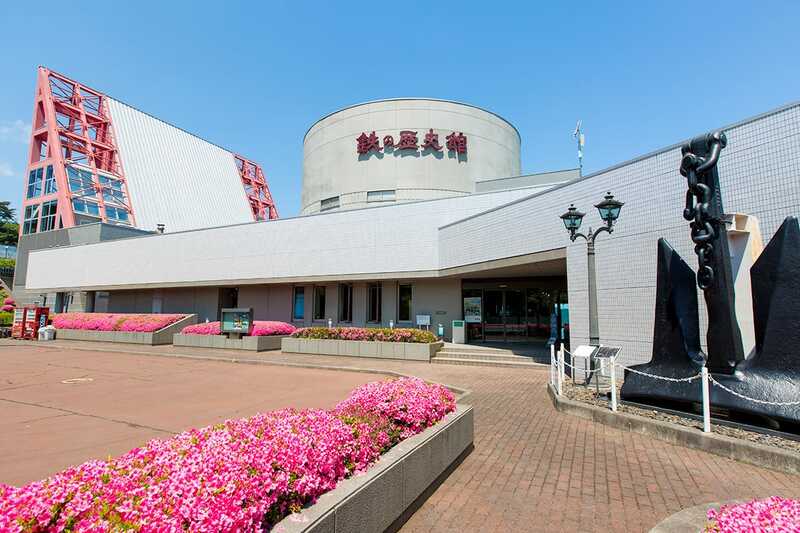 The Iron and Steel History Museum features exhibitions documenting the history of the industry’s development in Kamaishi as well as the great achievements of founder Takato Oshima and his fellow pioneers. A life-size model of the third blast furnace from the Hashino iron mining site is a particular highlight, giving visitors a chance to appreciate the scale, as well as the tough conditions for those who worked there. In addition to the many interesting displays, museum visitors can also make their own steel souvenirs (reservations required). Located in the Kitakami Highlands, Mt.Goyo is the tallest peak on the Sanriku Coast, at a height of 1,351 meters above sea level. It is blessed with panoramic views of the coastline, as well as the cities of Kamaishi to the north and Ofunato to the south. The mountain is renowned for its bountiful azaleas in spring and rhododendrons in summer, while also being home to a wide array of local wildlife. Those who climb at night are also able to spot the lights from squid fishing boats in the harbors far below. Closed due to snowfall over the winter months, Mt. Goyo reopens to hikers at the end of April each year. 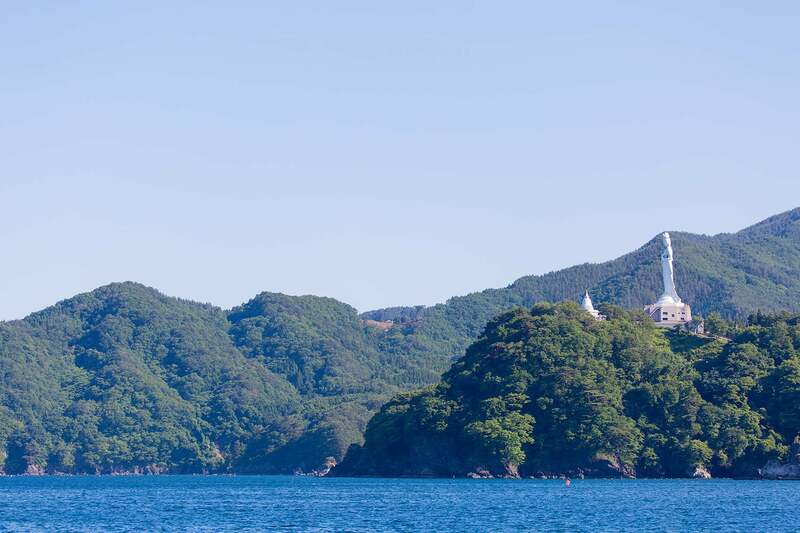 Hakozaki Peninsula boasts stunning views of the Sanriku coastline, with the Otsuchi and Yamada Bays to the north, and Sangan Island and Kamaishi Bay to the south. 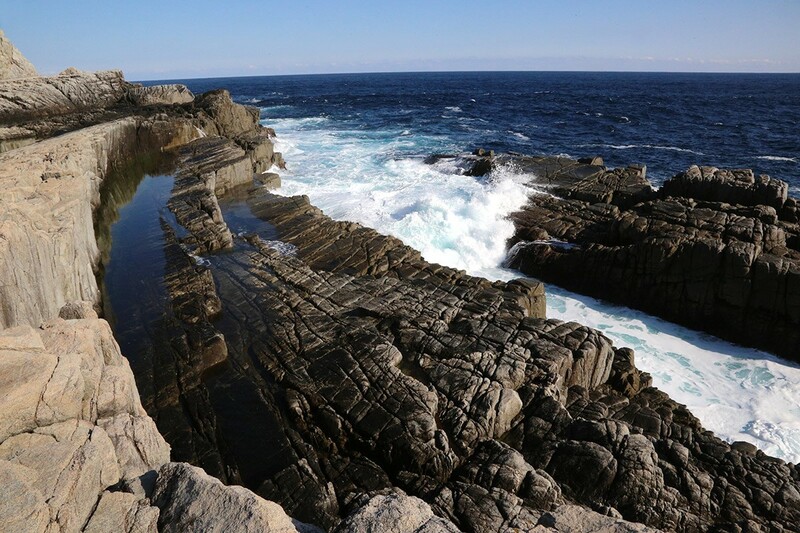 Exposure to rough seas and harsh winds over the centuries has left this peninsula with dramatic cliffs and stunning rock formations – the most notable being the granite covered Senjojiki that stretches out for hundreds of meters at the furthermost tip. 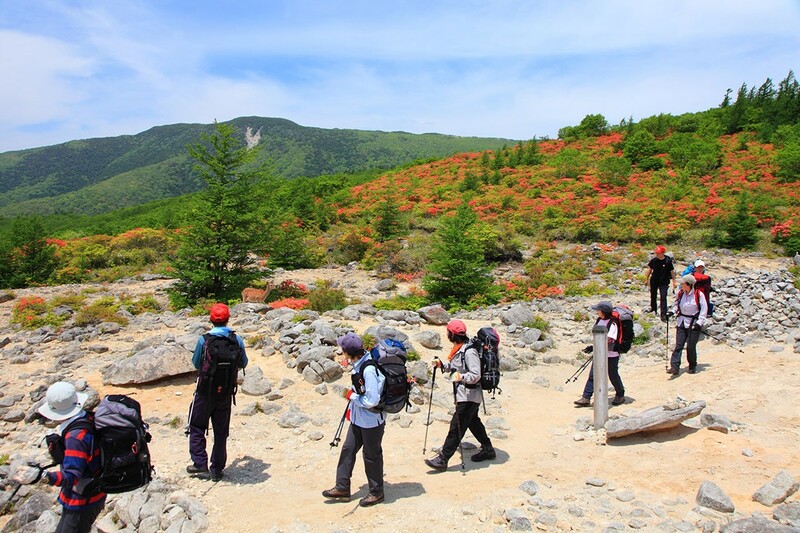 Trekking across Hakozaki can be hazardous however, with dangers including large waves and bears, so it is recommended that visitors travel in groups of two or more. The path along Hakozaki is part of the Michinoku Coastal Trail, which travels the length of the Tohoku coastline from Aomori to Fukushima. At an elevation of 800m, the Wayama Highlands stretch for about 1,500 hectares in the northeastern part of Kamaishi. Following a visit to the UNESCO World Heritage Hashino Blast Furnace Ruins site, you can drive right to the peak of the Wayama Highlands. From there, you can see splendid views of Mount Hayachine, which is 1,917m high and considered one of Japan’s top 100 famous mountains. Moreover, you can admire the mountains that extend through Kamaishi, Ofunato, and Tono as well as Otsuchi Bay. In this splendid wilderness, you will find hot springs along with beautiful ravines, pastures and meadows. 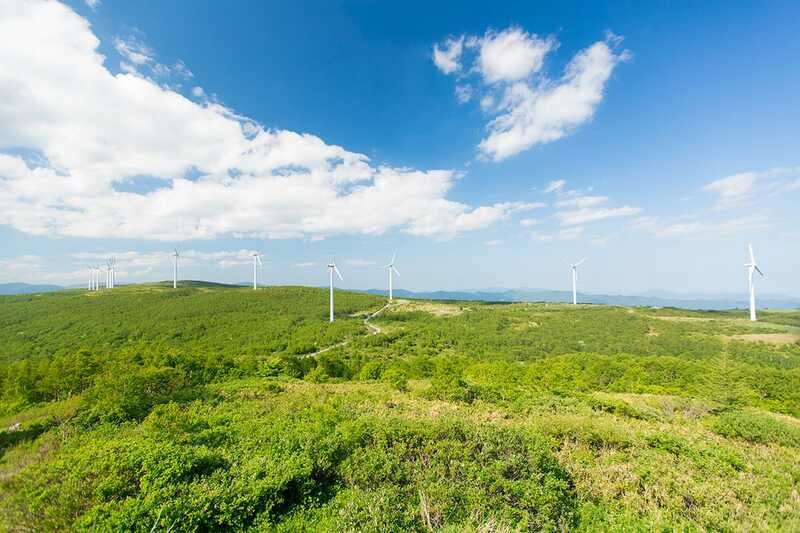 However, the main attraction is the Kamaishi Wind Farm. Constructed in 2004 by Eurus Energy Japan, this wind farm consists of 43 large-scale wind turbines, making it the largest operating wind farm in Japan. 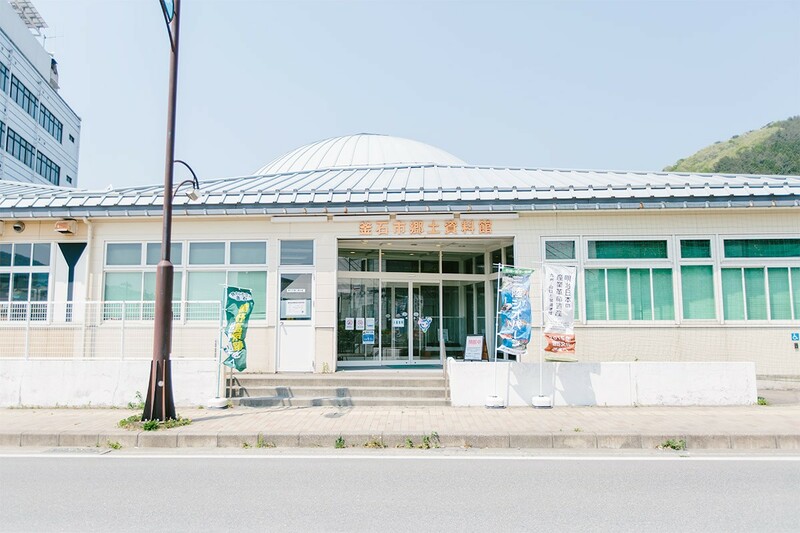 The Kamaishi Local History Museum is located only a 5 minute walk from Kamaishi Station and entry is free. The museum’s collection is made up primarily of donations from local residents and features approximately 9,000 precious artefacts relating to Kamaishi’s archaeology, nature, historic sites, folk customs and Showa lifestyle (early to late 20th century). Many of the artifacts narrowly escaped being washed away during the 2011 Tohoku earthquake and tsunami disaster. The main exhibit is a permanent collection of photographs, documents and materials from disasters such as the Meiji tsunami and Showa tsunami, as well as the naval bombardment of the city that occurred twice during WWII. 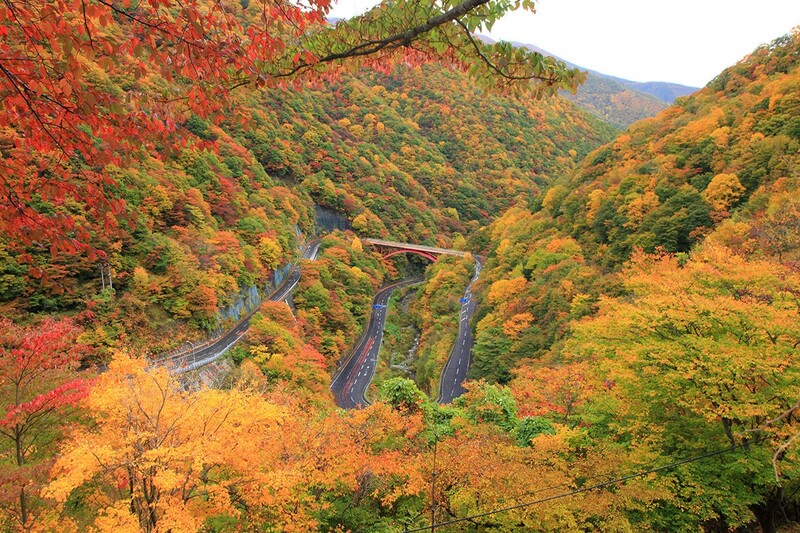 Sennin-toge Mountain Pass is situated on the Kamaishi-Tono border at an elevation of 887m and offers spectacular views all year round. From spring until summer, it is covered in a blanket of rich green nature. In winter, it transforms into a beautiful winter forest shrouded in snow. However, the peak time to visit is in late October to November, when you can observe the colorful autumn foliage unfold. In fact, it is one of the main spots in Kamaishi for viewing the change in color of the autumn foliage. It is also the home of the renowned Sennin Hisui mineral water, and the Kamaishi Sennin-toge Marathon (held late October). The new Sennin-toge Road opened in 2007 and offers an alternative route through the city, resulting in less use of the old windy mountain road. However, with just a short detour off the main road, one can experience the beautiful depths of the mountain while overlooking the city through a canopy of autumn leaves. Yakushi Park offers a sweeping view of Kamaishi’s urban area and bay and is located on a high hill right in the heart of the city. It can be reached by climbing a windy staircase nestled in the hillside. Within the park you will find a wide open space with a peace monument as well as a monument of Matasuke Takahashi, who played a crucial role during the development of the steel industry in Kamaishi. The park provides further insight into Kamaishi’s history through a small collection of photographs, visualizing the damage that occurred from naval bombardment during WWII. 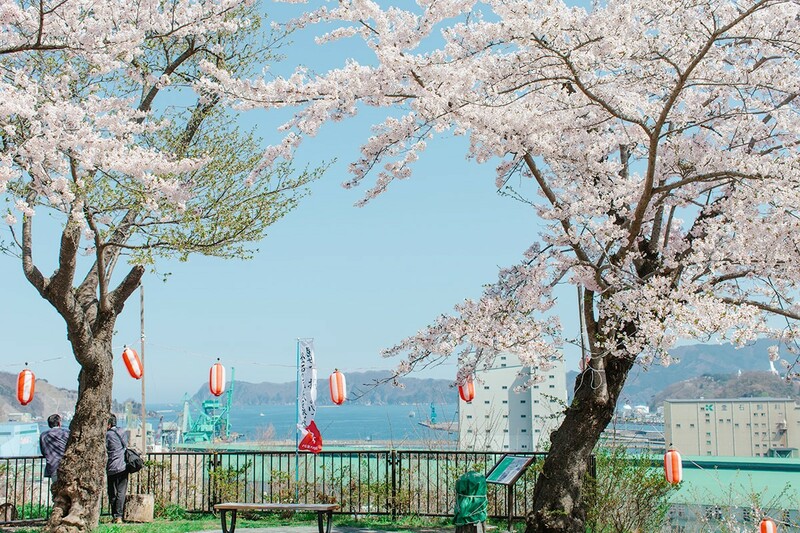 Nowadays, Yakushi Park is famous for its cherry blossoms and the cherry blossom festival that takes place there every spring. During the festival, the entire stairway is lit up with paper lanterns creating a truly spectacular sight. 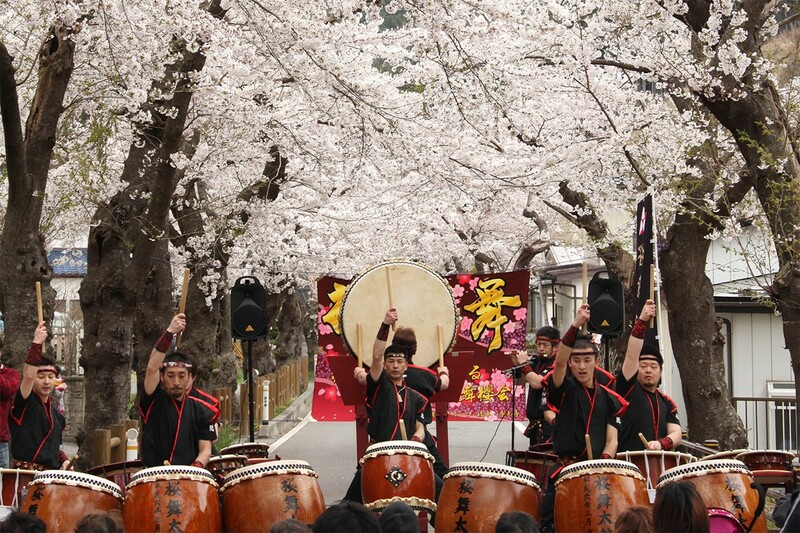 Kamaishi Sakura Festival is a large festival that takes place once every 3 years during the cherry blossom season in Toni-cho, southern Kamaishi. In the spring of 1934, a tsunami occurred causing significant damage to the area. As part of the restoration process, 2800 cherry blossom trees were planted here in honor of the current emperor of Japan, Akihito, who had been born in December the previous year. Now, once every 3 years, a procession of daimyos (feudal lords), mikoshi (portable shrines), and folk entertainment is held under the line of fully blossomed cherry trees. In 2018, the festival will be held for the first time in 6 years. 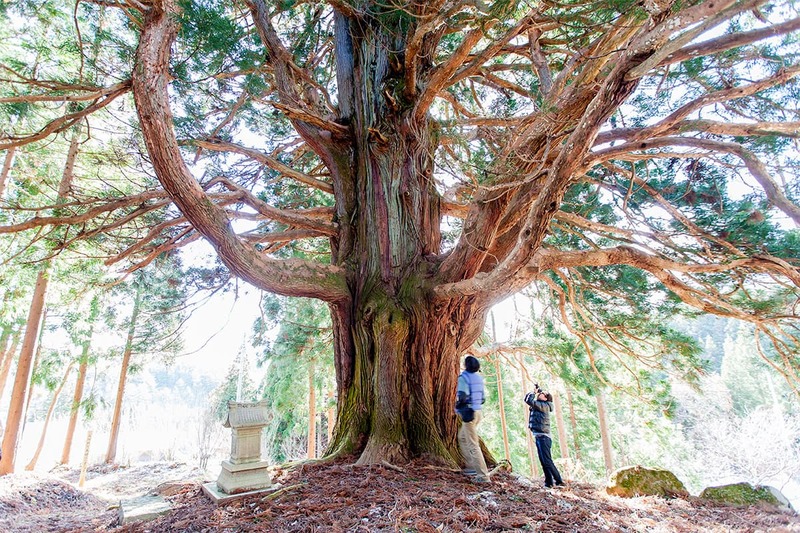 The Kagura Cedar tree has been designated as a natural monument by Kamaishi City and is located in Hashino, north east of Kamaishi city. This cedar tree is said to be over 400 years old. It branches reach a height of 30m and the circumference of its truck is 6m wide. When standing next to it, one cannot help but feel a sense of solemnity and strength towards life. The area offers a picturesque view of a quiet village lying amongst the rice terraces, which have each been separated by a stone wall. The recommended driving route is to first make your way to the Hashino Donguri Square. From there, continue west for approximately 1km until you reach the Jizo statue (a stone statue wearing a red cloth). There, make a right turn onto a hilly road and continue for about 1.2km. Then, you will have reached your destination. Held over three days every October, the Kamaishi Festival brings together the gods from the Mountain Shrine and coastal Ozaki Shrine. 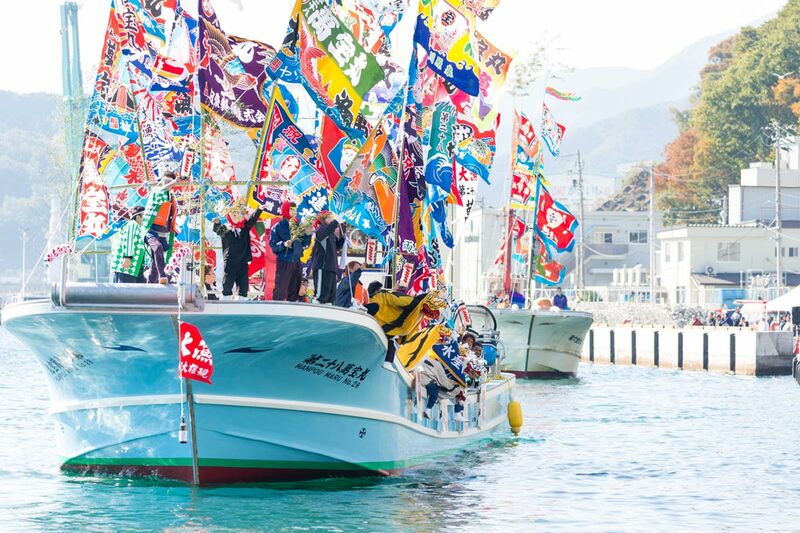 The god of Ozaki is carried in a portable shrine from the Ozaki Peninsula, and bought across Kamaishi Bay in a lively and colorful parade of Hikufune fishing boats covered in Tairyobata “big catch” flags. 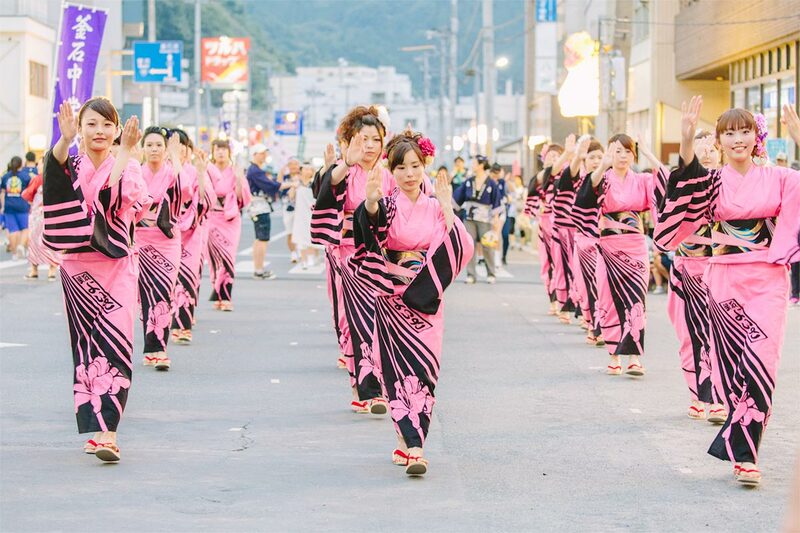 Arriving upon land, Kamaishi’s famous tora-mai, shishi-odori (tiger and deer dances) and other traditional performances parade through the city with portable shrines from each of the major districts. The tora-mai tiger dance troupes spend the evenings going around the various businesses in town to perform and bring good fortune for the year ahead. The local Hamachidori sake is abundant at every turn. One of the most lively and culturally rich weekends of the year, the Kamaishi Festival is the perfect time to schedule your visit. Kamaishi’s summer festival, the Kamaishi Yoisa, is a comparatively recent tradition. It was first organized in 1987 by a group of young locals after the closure of the Nippon Steel blast furnaces, to bring back joy and vitality to a town that was rapidly decreasing in population. Various groups from within and outside the city come together and perform the Yoisa dance for several hours down the main thoroughfare in town. Anyone is welcome to join in and the moves don’t take long to master – fun and comradery take precedence over perfection. There is a short break halfway through the evening for everyone to rest and rehydrate from the summer heat, with many small street food vendors setup in the center of the festivities. The more professional dance and music groups also perform several numbers from center stage throughout the evening.